Being new to this gluten-free journey, I have often found myself panicked thinking, "Oh no! I have GOT to have something sweet!! I NEEEEED it!" But, then I've been left trying to figure out what in the world I can actually eat, without paying for it. Thankfully, I did find out that Trader Joe's has started carrying gluten-free JoJo's and they got me through the rough transition, thank you very much. Pinterest and the WWW have been my friends through this process, too. 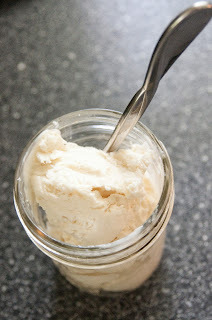 I recently scoured Pinterest for a gluten-free ice cream recipe that I saw somewhere else, but then couldn't remember where I'd seen it. Ever have that happen to you? 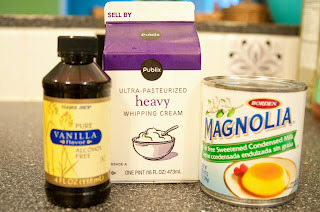 The totally awesomely wonderful thing about this recipe is that it is so simple and only has three ingredients...THREE! I think the cost for everything was under $4. I'm sure you can do it cheaper, too, I was just in a hurry...in a hurry to have some ice cream! 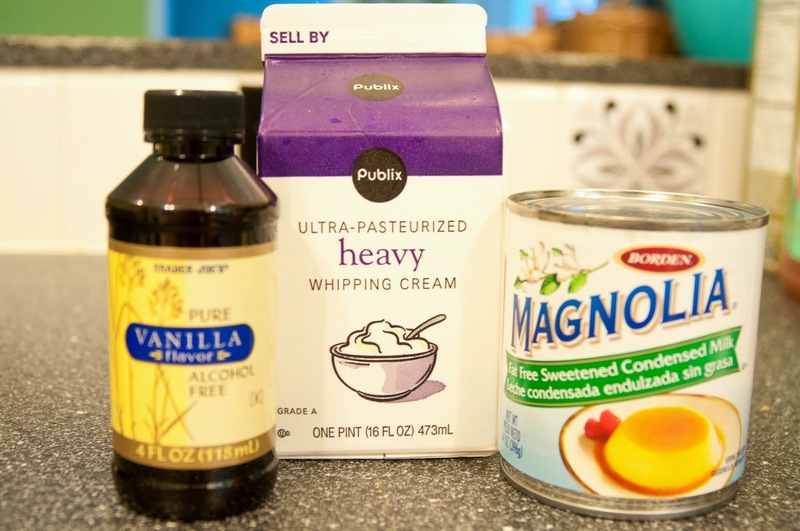 In a large bowl, whisk together the condensed milk and vanilla. 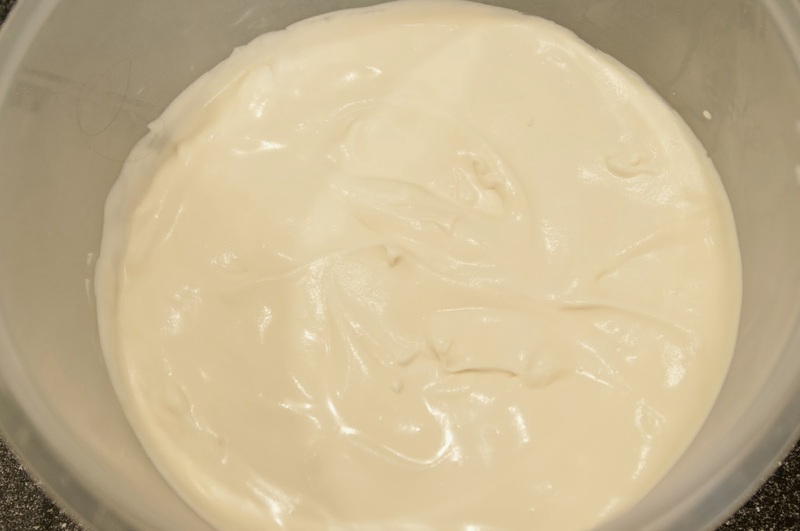 In either your stand mixer bowl (or another bowl with your hand-held mixer), use your whisk attachments and whisk the heavy whipping cream until slightly stiff peaks form. 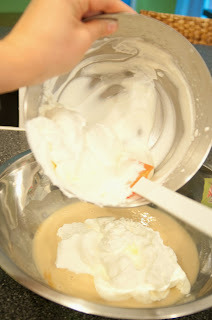 Then fold the whipped cream into the condensed milk/vanilla mixture, until only a few bright white streaks are left. Pour into a freezer-safe container, smooth the top, and cover with a lid. Place in the freezer until firm. 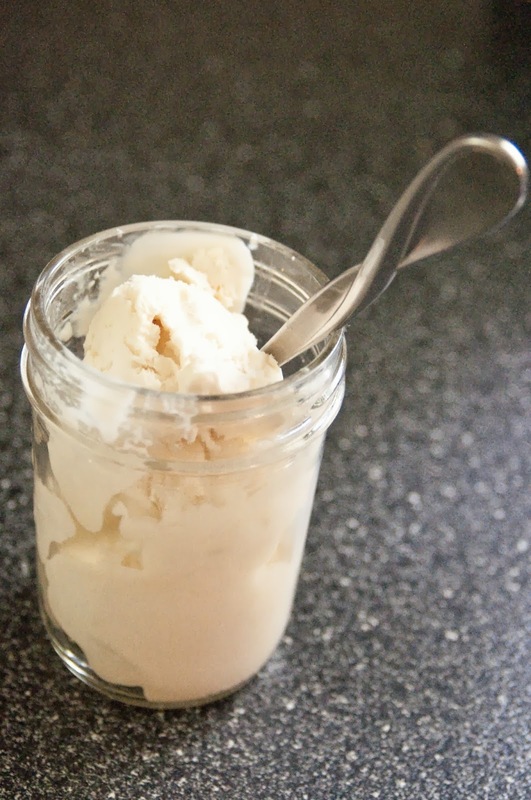 The original recipe says at least four hours, but I think mine was better after being in the freezer overnight. 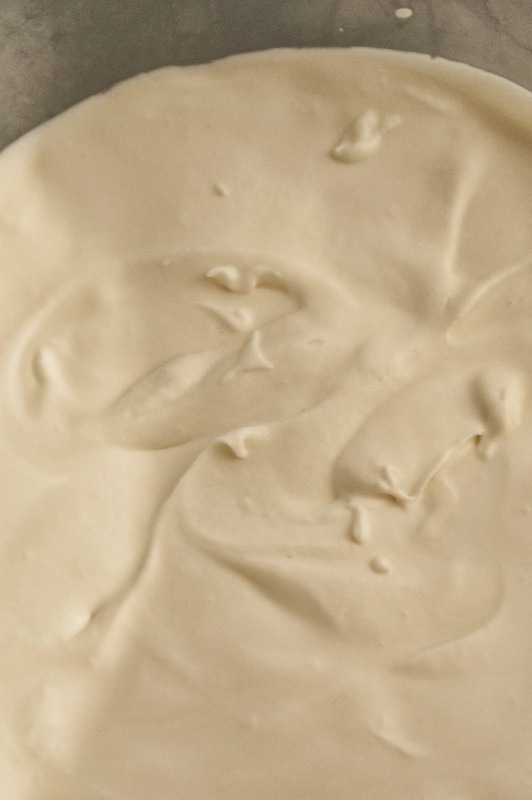 The wonderful thing about this recipe is that all the ingredients are low-moisture, so it doesn't end up watery...just delightfully creamy and oh so delicioso! Actually what I mean to say is that HOLY CRAP THIS ICE CREAM IS AMAZING!!!! Ahem. My DH said that it would also be good sandwiched between two cookies...up to you. 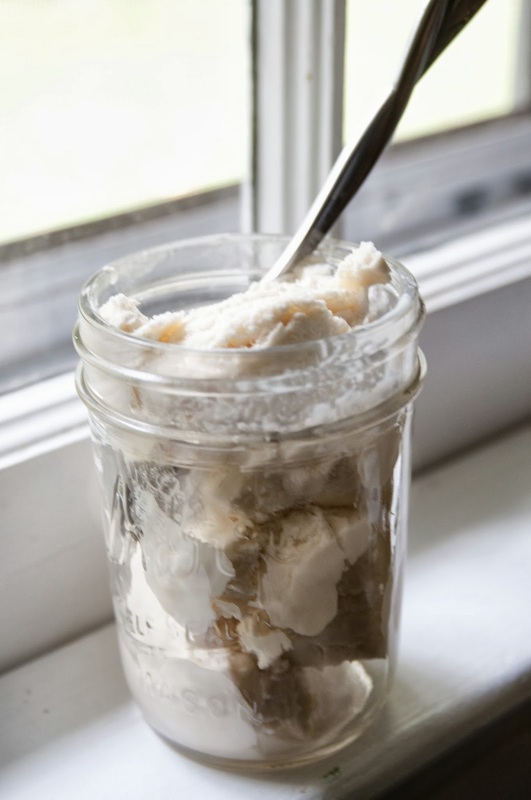 My new favorite way to serve ice cream is in a wide-mouth mason jar. Doesn't it look great?! But, seriously, you will absolutely die over this ice cream, or at least you'll think you've died and gone to heaven. No joke!